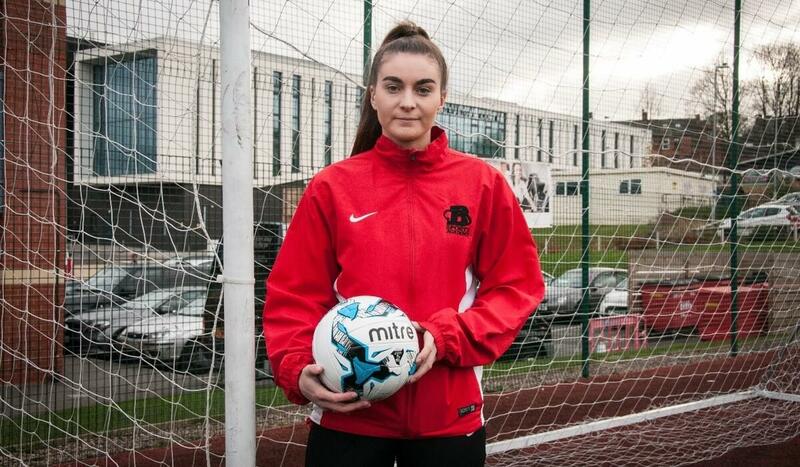 Student Brittany Sanderson has secured a place in the English Colleges Football Association national squad. The 18-year-old, who studies Sport, will have the opportunity to gain experience of playing at a higher level by representing the College in national recognised competitions. 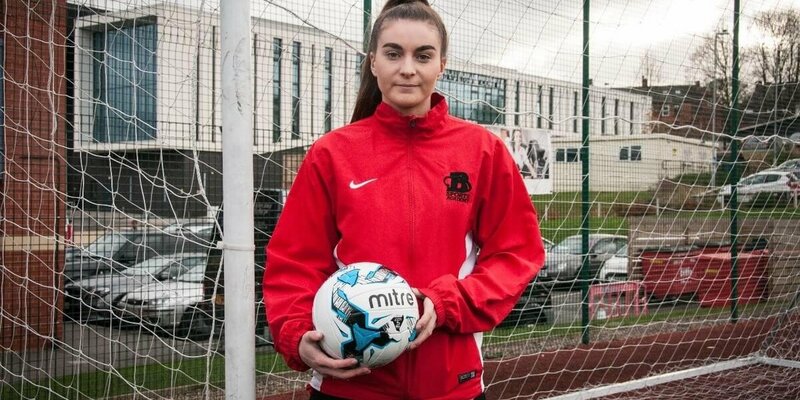 Brittany, a centre midfield who plays for FA Premier League club Huddersfield Town Ladies and Barnsley Sports Academy, will travel to St George’s Park, the English Football Association’s National Football Centre, for a training camp before competing in a tournament in Barcelona. Brittany is part of the Barnsley Sports Academy within college and has access to an Elite Sports Performance Bursary to fund equipment and travel.